This Friday marks a calendar year since Gucci Mane was freed from prison, and to mark the milestone, the Southern hip-hop icon has teed up a tape alongside young superproducer Metro Boomin. Titled Droptopwop, the tape is set to arrive Friday (May 26) and features 10 tracks. Entirely produced by Metro Boomin, the release also features contributions from Migos's Offset, 2 Chainz, Rick Ross and Young Dolph. You can find the tape's artwork and tracklist below. 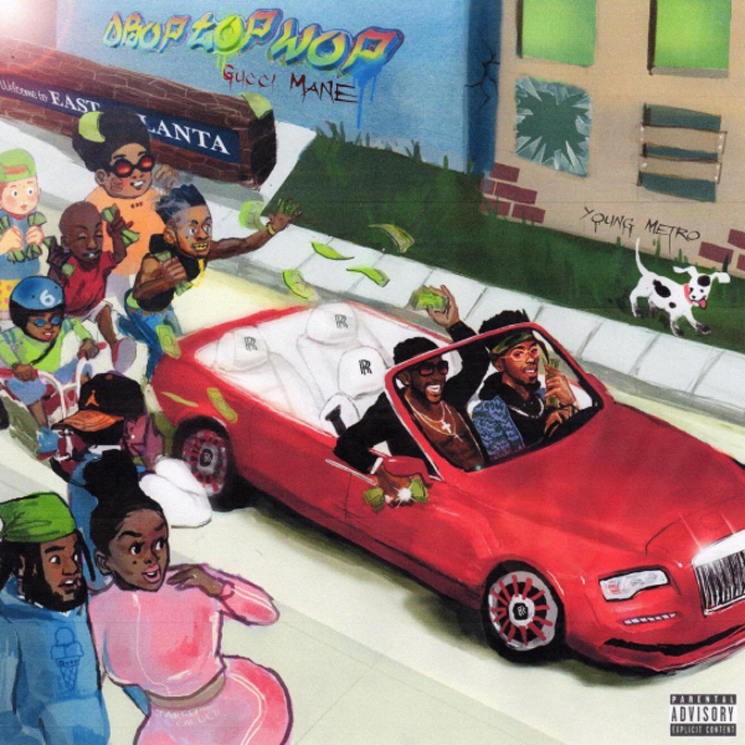 UPDATE (5/25, 11:40 p.m. EDT): You can now stream all of Droptopwop below. Gucci Mane's last proper release was last year's The Return of East Atlanta Santa. Lately, he's popped up on a single with Nicki Minaj and is readying a "blunt and candid" autobiography.